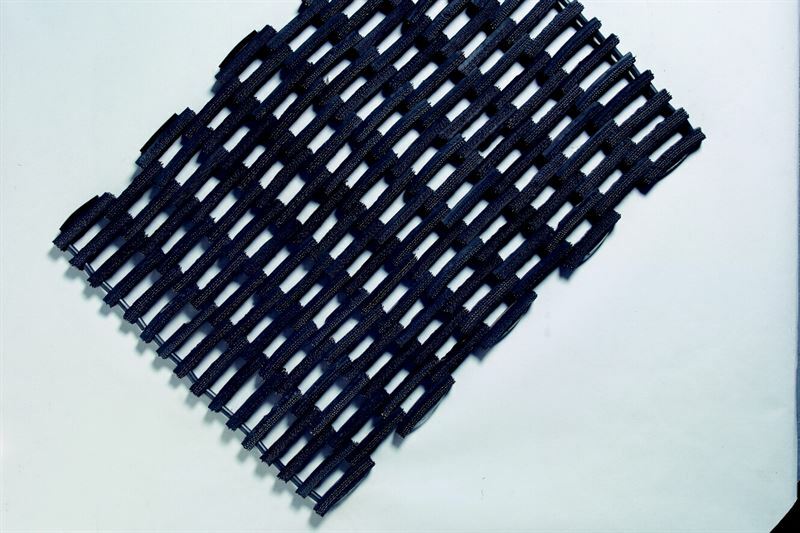 A top quality yet extremely inexpensive traditional fibred rubber roll-up link mat, constructed from specially selected recycled tyres and high carbon spring steel wired. Extremely hardwearing, easy to clean, reversible and slip resistant. 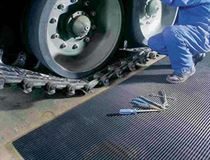 The ideal outdoor scraper mat. Also popular as an anti-fatigue duckboard standing mats in wet areas e.g. factories, breweries, public houses, commercial kitchens etc. Excellent for matwell installation. Superb value extra heavy duty traditional rubber scraper link mat. Manufactured from recycled tyres and high carbon spring steel wires.